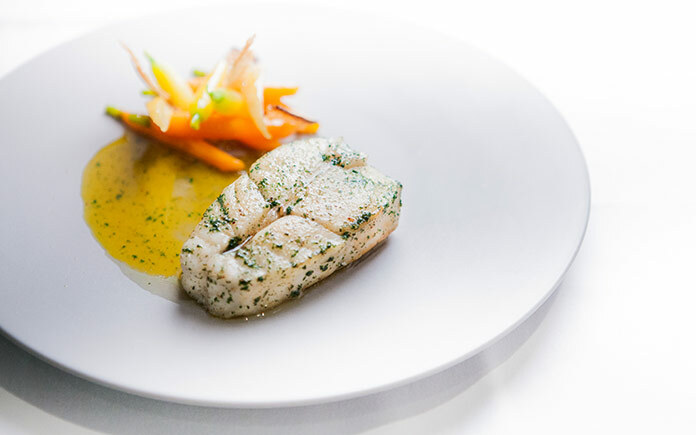 In the world of luxury fine dining, Alain Ducasse is a figure synonymous with exceptional food that combines the finesse of classic French haute cuisine with a decidedly modern focus on the locality and quality of ingredients. French born, but now holding the citizenship of his adopted Monaco, it is in the principality that his most famous and highly esteemed restaurant has long resided. Le Louis XV in Monte Carlo’s Hotel de Paris remains Ducasse’s favorite restaurant child, not least because it was the venue where he first gained three Michelin stars to confirm his burgeoning worldwide reputation. Under his stewardship, the restaurant was an international fine dining success for close to 30 years, with prices to match its status. 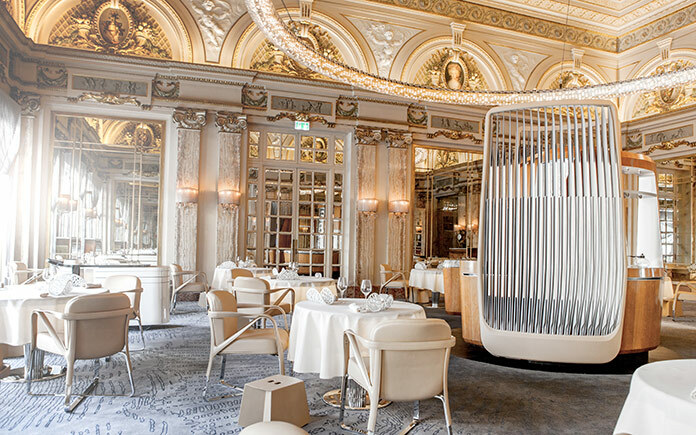 Although the decor remained an opulent example of 19th grandeur, filled with oil paintings, sculptures and other palatial fittings, Ducasse felt that in recent years the restaurant had started to look a little ‘grandmotherly’, and so a renovation was decided upon. Designers Patrick Jouin and Sanjit Manku took their inspiration from the Riviera’s famously lavish yet relaxed lifestyle, and the results are stunning. The space retains all its old splendor and ‘wedding cake’ ornateness, yet the dining room seems larger and brighter, no mean feat when the protected status of the building meant major construction work was out of the question. It seems that the revamp has met with approval within the fine dining scene as well, with the Michelin Guide recently describing it as ‘astonishing’ and a ‘wondrous setting’ in which to eat. 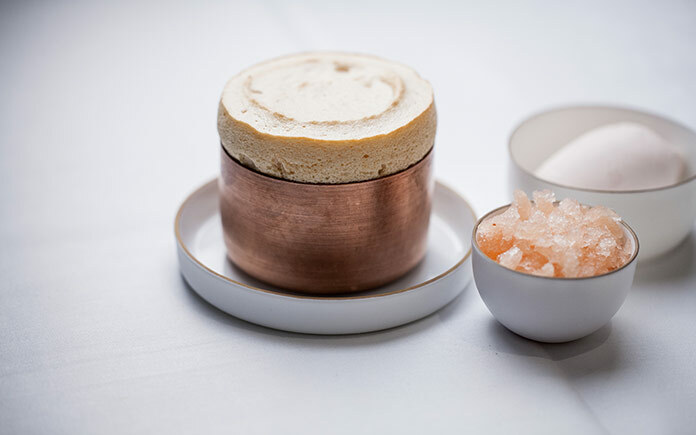 But impressive though the dining room’s atmosphere is – and it’s a great contributor to the three Michelin stars which are still held to this day – it’s the food itself by which the new-look restaurant will ultimately still be judged. 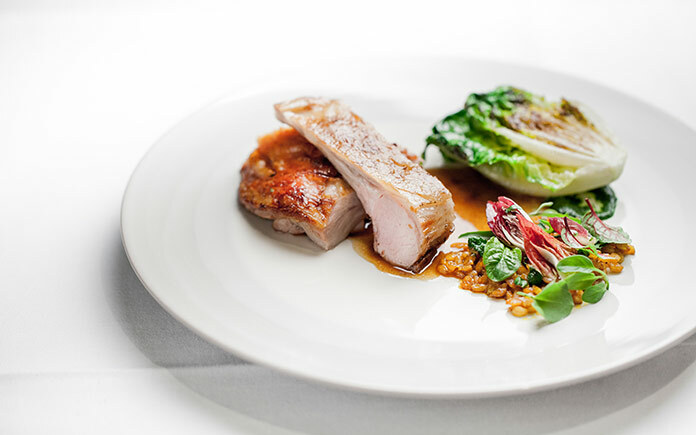 The menu stays true to the Ducasse signature style of great local ingredients used in traditionally influenced dishes, yet taken to an entirely new level through exceptional technique and flawless attention to detail. Expect dishes drawing their inspiration directly from the Riviera, such as a lavish plate of the freshest Mediterranean shellfish, but presented with a flourish and elan that’s become the Ducasse trademark, in this case with the addition of a crushed chickpea base, garnished with local citrus fruits and bracing seaweed. All this amounts to elegant food that’s refined without losing a strong sense of authenticity and regionality. The menu at Le Louis XV truly offers sublime dining at a luxury price level. Options available include a la carte dining from around €200, excluding drinks, through the set ‘Gardens of Provence’ menu at €240, and culminating in the ‘Gourmets Only’ gastronomic voyage of discovery at €330 per person. Add a glass of champagne or two (this is Monte Carlo after all), and the bill will be substantial indeed. 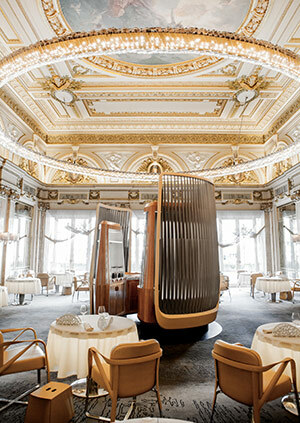 So should Le Louis XV be on your list of must-visit restaurants? With such robust pricing, eating here is always going to be a special occasion rather than a regular affair. However, if your idea of luxury involves experiencing the very best the world of fine dining has to offer, you’ll be in safe hands with Ducasse and his team, and you couldn’t hope to find a more sumptuous location.